Marine Corps Air Station New River is a United States Marine Corps helicopter base in Jacksonville, North Carolina in the eastern part of the state. Previously named Marine Corps Air Facility in the 60’s. 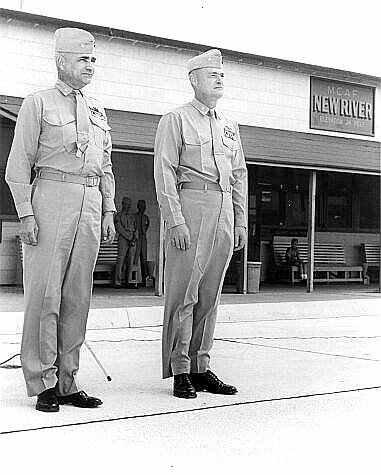 In 1972, the airfield was named McCutcheon Field for Brigadier General Keith B. McCutcheon, one of the fathers of Marine Corps helicopter aviation. Across the New River from Marine Corps Base Camp Lejeune. It shares some facilities with Camp Geiger. 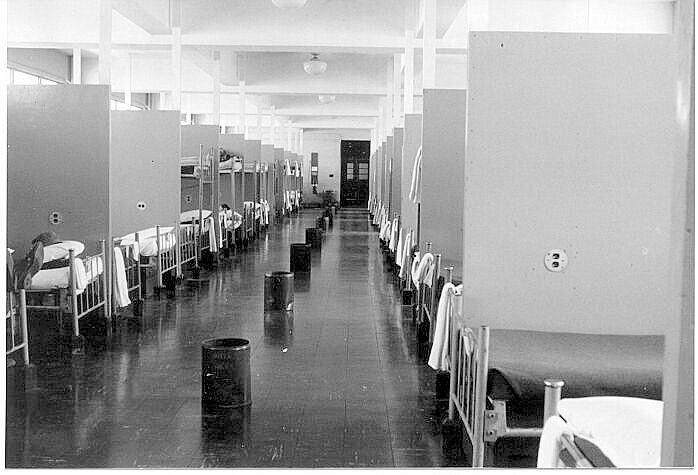 My first duty station after graduating AEOC class in summer of 63 @ MCRD San Diego. Arrived September and a month later was assigned 3 months MP duty. Will always remember being on main gate duty when word came in that President Kennedy had been shot & killed in Dallas. I also caught a thief one night who had stolen items from one of the barracks. Caught him in the 3rd floor stairwell and we tumbled down a flight of stairs as he tried to get away. Remember lots of volley ball games on breaks and over size mosquitoes!